Springboard is an online coding school offering online, flexible, mentor-led courses including the Data Science Career Track with a job guarantee, Digital Marketing, UX design, and Cybersecurity courses. While learning cutting-edge digital skills entirely online, students receive teaching and mentorship from industry experts. Springboard offers a number of self-paced, mentor-led workshops, plus a full Data Science Career Track program. The Data Science Career Track includes a deferred tuition option, so students can enroll for a small deposit and finish paying after starting a job. In all of Springboard’s self-paced courses, students develop job-ready skills that display industry-worthy capstone and portfolio projects. Throughout the entire process, students receive support from their industry mentor, as well as Springboard's resident advisors and the larger student/alumni community. Springboard combines expert-curated curricula with one-on-one mentorship. Springboard has served thousands of students from around the world. To apply, applicants fill out an online form, take an aptitude test, then talk with a school representative about their background and motivations. For the data science career track a background in statistics and/or programming is required. For the UX career track, students should have academic or professional background in user design or development-oriented fields. All graduates receive 1:1 career coaching including networking tips, resume and LinkedIn assistance, interview prep, and salary negotiation. Graduates go on to considerable success: those who accepted new jobs reported an average annual salary increase of $19,919. And because of the job guarantee, students who don’t find a job within six months of graduation receive a full refund. Fast-track your machine learning career through our mentor-guided, hands-on AI / machine learning course—the first to come with a job guarantee. Our curriculum, designed for people with software engineering experience, is rigorous and deeply technical, teaching the foundations of machine learning and deep learning. But it’s also hands-on. Of the 400 hours of work we estimate it will take to complete this course, 100 hours go toward capstone projects. You’ll build and deploy large-scale AI systems—with guidance from your mentor, an experienced machine learning engineer currently working in the industry. Job Guarantee. Get a job after 6 months or get your money back. Climb Credit available.Deferred Tuition available. Pay when you get a job. Get a job, or your money back, through Springboard’s mentor-guided online bootcamp. With our job guarantee, if you don’t land a job within six months of graduating, your tuition will be refunded. Students will master the data science process, from statistics and data wrangling to advanced topics like machine learning and data storytelling, by working on real projects designed by industry experts. With the guidance of your personal mentor and career coaches, you will graduate with an interview-ready portfolio and a network of data scientists. We won’t stop there. We know that career transitions are hard, and we’ll support you every step of the way—until you get hired. Lending partner available: Climb Credit. Deferred Tuition available: Pay $700 and the rest when you get a job. $1490/month or $7,500 upfront or deferred tuition plan. Comfortable programming and comfortable with statistics. If you're looking to get a fulfilling digital marketing job, Springboard’s Digital Marketing Career Track is the perfect course for you. The Digital Marketing Career Track is a 200+ hour online course. You’ll learn core digital marketing skills and work 1-on-1 with an expert digital marketer on projects designed to help you showcase your competency in this rapidly evolving field. You’ll also learn how to leverage these skills in the job market through a career-focused curriculum and personalized career coaching. We’ll offer all the support you need to land a digital marketing job successfully, from resume review, mock interviews, to exclusive employer partnerships. You’ll get a foot in the door people usually work years to gain. You should have a strong background in Probability & Statistics, and should be very comfortable programming in at least one language. Take the first step in your cybersecurity career. Learn the fundamentals you need to get certified. Be able to pass the CompTIA Security+ sy0-501 certification exam. Understand risk management and incident response.Have an understanding of the Cybersecurity industry, acronyms, definitions, and possible career paths. Springboard's Introduction to Data Science isn't your typical data science course. This is a flexible, online course that is designed to fit your schedule. Once enrolled, you’ll work through an extensive curriculum curated by data science experts with experience at IBM, Dell, Pindrop Security, and others, and complete over 40+ hours of project work. With the help of a personal 1:1 mentor, you’ll build a strong foundation in R while learning how to communicate effectively with stakeholders, clean data, and make data-driven decisions. By the end of the course, you’ll be prepared to apply for data analytics roles. Become a UX designer in six months, job guaranteed! The UX Career Track is an intensive user experience course with a full career services component. With our guarantee, if you don’t land a job within six months of graduating, your tuition will be refunded. This self-paced, mentor-guided, online bootcamp is designed for people with adjacent skills from a few specific backgrounds: visual design, coding, marketing, and research. With the fundamentals already in place, you'll master design thinking, develop cross-functional communication skills, and create real-world projects that you can show off in a unique portfolio. After graduation, you’ll continue to enjoy the support of career coaches and access to our employer network so that you can land an entry-level UX job. Academic or professional experience in user design or development oriented fields. Go from beginner to completing your first portfolio piece! You will have a unique opportunity to build a strong foundation in UX design by working 1-on-1 with an expert UX design mentor as you work through our carefully curated curriculum. Course Report is excited to offer an exclusive Springboard scholarship for $500 off tuition! Fill out the application below to submit this scholarship to Springboard. By submitting, you acknowledge that your information will be shared with Springboard. The business analytics course is a great way to immerse yourself in business problem-solving with practical guidance from highly-skilled mentors. The skills gained can allow you to pivot into new business-related roles or help strengthen your analytical skills within an existing role. After a long time of research, I came across Springboard and I can't be happier. The course structure is very clear and abundant, the staff is super friendly and always answered quickly to my questions and the fact of having a mentor is just great. Obviously you need to put in a lot of personal effort to get your tasks done, but Springboard does an excellent job to help you stay motivated! I'd recommend Springboard who wants to gain high-quality knowledge in an enjoyable way and in a short period of time. Great coursework with awesome assignments, one-one with a mentor who works as a data scientist is just amazing thing. More strategic in successful accomplishment of Capstone project. Worth for all the money you spent. Comprehensive curriculum and great support throughout. The resulting portfolio is a great starting point for a career in data science and the two capstone projects allow for some personalization. Best bang for your buck. I wanted to change my career from DBA to Data Science and hence I enrolled in this bootcamp. I joined it because of it was cheap compared to other online bootcamps and the job guarantee associated with this course. The best part is you get all kind of support you need it. There are dedicated team of professionals who work towards achieving your goal. I've been working as a creative (visual) designer and director for the past 18 years, but wanted to learn more about the initial UX process (research, wireframes, prototypes, etc). Aside from being able to learn at your own pace, Springboard pairs you with an experienced mentor. My mentor was my absolute favorite part about this course. He was kind, patient and very knowledgeable about all aspects of user experience design. I have learned so much over the last couple of months, and have started incorporating my new knowledge in various projects already. Highly recommend! This course is a nice fit between 'learn on your own' and 'get a Masters' for people looking to work as data scientists. I tried learning Python on my own but it was only getting me so far, and I didn't want to do a full Masters because of time and money. This specific course gives an excellent Primer to all of the major data science subdomains. Python, Statistics, NLP, Classification, Time Series, Network Analysis, Spark, and more. Data Science is a Deep Field, this course gives you the skills needed to navigate that Random Forest, including a wise guide in the form of a mentor. The mentor to me was the most invaluable part of this, I could solve a problem in a 5min conversion what might have taken 3hours, if ever, by Googling. By the end, I was able to 'Read the Docs' and apply methods that were not even covered in the official curriculum (Survival Analysis, PyTorch, PyHive), something I was NOT able to do prior to this course. It is, as the name suggests, a springboard, which worked well in my case. I took the UX Design Certificate Program at Springboard and learned a great deal!! Because I was working fulltime - the program did last longer than 3 months - but, that was ok - because I really believe this is something you can't and don't want to rush through - the more you are willing to learn and take the time to do that, the more I believe you will get out of it and not only should you leave with a great portfolio piece -- but you will have the knowledge to talk about what you did in an interview. The whole process. I had a great mentor - who is a working UX professional that I met with once a week and could email or/and post in the forum if I got stuck. I took the UX Design workshop to spaek a career change and I cannot recommend it more! The course content is really well structured and your mentor meetings help you stay focussed on your progress. It was also super easy to incorporate with working full-time! So if you have interest in the topic and want to learn more about UX do it!!! This course is on point in terms of value for money! I'm really happy I took this course. 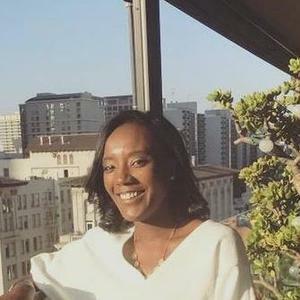 After working for almost 10 years in marketing & sales in the New York media world, I moved to the Silicon Valley area and found my job skills weren't transferring to my new location. Springboard gave me the skills I need to pivot my career from traditional to new media. I'm proud of what I've accomplished in this course and am grateful to the mentors and team at Springboard for all their help. I'm really excited about this new direction and to see what the future holds for me and it's all thanks to Springboard! The material Springboard offers is superb and their team is incredible. Every single person I've interacted with from my student advisor to the community manager to my career coach and all the other students have been amazing. Everyone is incredibly friendly and helpful, the material is excellent and the course is very well structured. My favorite part has been the mentorship. Before I joined the program, I figured that the mentorship alone was worth the price of admission and I was soooo right. I actually think the mentorship is worth the price of admission several times over. My weekly calls with my mentor have been incredibly helpful. She really is an expert in her field and with her guidance through the program, I know I'm getting the most out of it. The real-life projects are incredibly helpful and really build confidence because when you move into the job market, you already have real-world experience under your belt and a portfolio to share with potential employers. I can't recommend this program enough. It's awesome! My overall experience with the DS career track was very positive and provided me with a very useful skillset. The curriculum is very good, though it would not hurt to include a bit more of tools such as TensorFlorw. By far the most useful portion to me was the support and insight provided by the mentor program. This is one of the main reasons I chose SB over others programs and I was not disappointed. The career coaching was also very helpful and consistent feedback was provided throughout the course. My only comment here would be for more help on the insustry connections/ referrals front. However, this is only a minor critique the continued job search support will likely help on this front. I found the Data Science Career Track program very useful for anyone who decides to start a Data Science career regardless of the background. The amount of material necessary to master is quite large but everything in the topics offered is important. The structure of the program itself is well organized and allows to build up solid skills. I really liked interaction with my mentor who gave me a lot of useful advices that broadened my views on all aspects of Data Science. Communications with career coaches were extremely helpful and informative as well. To summarize, my experience with Springboard's Data Science Career Track was overwhelmingly positive. I took this course with minimal programming experience. I found it challenging, but I learned a lot. The best part of the course is the projects as they are extremely relevant and useful. I recently graduated from business school and this course helped me land my first job. It is comforting to know that I can refer back to the course curriculum and projects when necessary. I would highly recommend Springboard to anyone that is looking to broaden their skillset. Overall, my experience with Springboard's User Experience design course was overwhelmingly positive. The content and mentor calls do a fantastic job of introducing and reinforcing concepts with hands-on project work that ultimately builds into a polished portfolio case study. One of the things I like most about Springboard is that the content is [mostly] non-proprietary. The course is essentially a curation of the internet's best free and paid resources on UX design, which makes the course very accessible and true to the lean UX concept. Why remake already great content? At some points the content does seem to be a bit overkill (I think there were ~6 different resources on building paper prototypes) but overall it was well-rounded and very helpful. If I'm being honest, having a mentor is the biggest factor in me completing the course. Had it not been for my weekly meetings with Andre it would have been far more difficult to find the motivation to complete. Every week we had insightful discussions about my submissions, and more generally about the UX process. If you're debating whether or not to take the course – do it. This course was by far the most economical option I came across with the level of content and engagement. Would highly recommend jumping in! I had a phenomenal experience with Springboard. As a remote learner, I was initially skeptical of the value an online course, but I am glad to be wrong. The structure of the course is very intentional to bring people up to speed quickly. The real value in the class is in the support team and mentors. Having the opportunity to have dedicated conversations with my mentor about data science concepts, my coursework, and some tangential learning set my experience apart from some of the other online courses I have taken. The effort of the support and career services staff were equally essential to help bring the course together. Having a dedicated professional sit and discuss job search strategies, review resumes, and conduct mock interviews provided additional confidence to communicate my data science knowledge and find that next role using my new skills. I’m a current student in Data Science Career Track Program. It’s been a month in this course and I’m fully satisfied with the course curriculum and support from the mentor and the student advisor. I have Master’s in Physics. And I am from Mathematics background. I do not have experience in programming or computer science. I just learnt Basic Python before joining the course. Now I am confident that I can definitely move forward in this field as I already know many tools and techniques to dive into the Data Science world. I will update here as soon as I finish the course and after landing into my dream job. Thanks for taking time to read my review. Good luck. I enrolled in Springboard's Online Data Science Career Program in August 2017 and completed the course in March 2018. I started the course with no programming skills. While this was difficult for me at the start, I became comfortable with python in the first two months. My favorite part about Springboard is the connection with my mentor. My mentor helped me tremendously with my capstone projects and gave me great advice in the workplace. The one thing that I had hoped for from Springboard is referrals. It is very difficult to build connections in a short period of time and then ask for referrals when applying for jobs. Hearing back from companies after applying and reaching out via Linkedin has been a struggle for me. It would be nice to receive a little more help in the job search. I am still looking for a job. In the end, the skills that you learn are invaluable. I definitely recommend Springboard to someone who is looking to get into Data Science or just wants to learn a new skill. Loved this course! Gained knowlege on trends and best tools, highly recommend this class. I really had a good experience with Springboard and I have learned so much and found the course one of the best technical courses I have attended. The Springboard Data Science Career track has been an amazing investment for me. Even though I had studied data science online for 6 months on my own before starting the course, the they the course content has been curated and laid out helped me to build a much stronger foundation. 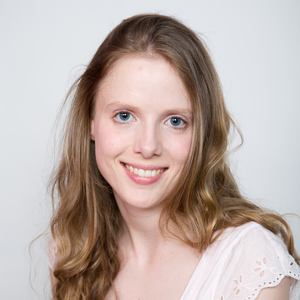 There is also a wealth of resources from counselors and a mentor that I was matched up with who had a similar academic background to my own which really helped me to build out my technical and professional skills for a career in data science. Overall, I'm pretty sure that this Springboard course is the best personal investment I have ever made. I highly recommend it to anyone thinking of starting out a career or transferring their current skill set to the field of data science! The UX Design course was a great experience. It really went into all aspects of UX and having a mentor to help you along the way was extremly valueable. This would be a great course for a refresher or to get started in the UX field. I took Data Science Career Track course after I did many mini-courses and read many books. The main issue with data science is that there is no clear start and end points. After a while of taking diffirent courses, you feel that you do not know what is data science career. In Spring board, besides learning more, I also could connect the dots and the field became clear to me. After finishing Career Track Data Science course, you can continue your journey by yourself. I took Springboard's Career Track Data Science course, which was exactly what I needed to transition my career. I'm pretty self motivated, which you'll need as the course is self-paced (you can also choose to pay per month which is an extra motivation to complete the course as fast as you can! ), but wanted some sort of defined path to teach myself data science. There are a ton of online resources for free but it's pretty much impossible to know where to start without guidance. The course does a great job of starting you from basics but they move you on pretty quick from there in case you already have a foundation in CS or statistics. They match you with a mentor who can give feedback on your projects or answer any questions you might have about the material or the industry. The job guarantee is a big reason why I chose this course. It was pretty much a win-win. I started looking for a job about a month from finishing the course and got a job offer in about two months. I absolutely LOVE my new job and what I'm doing now. There seriously isn't a better deal out there. I recommend this program to anyone who wants to become a data scientist. The ROI here is unbeatable. Srdjan is a mentor with Springboard’s online AI/Machine Learning bootcamp and – as a self-learner himself – he loves teaching the next generation of technologists. We caught up with Srdjan to learn about how he broke into Machine Learning, why he enjoys being the “hype man” for online bootcamp students, and why he believes there will be no shortage of jobs in Data Science for the foreseeable future. What is your background and how did you get into Machine Learning and AI? I first got exposure to statistics and data in school – I have a bachelor’s degree in Economics and a master’s degree in Econometrics from the University of Belgrade. After graduation, I landed a statistician job with The Nielsen Company, the marketing research consultancy, which taught me everything I know about data analysis, data cleaning, exploring data, and building predictive models – now known as Machine Learning and Data Science. The leadership team at Nielsen emphasized outside learning in both theoretical and methodological views. We got together with statisticians from the other offices in Central Europe for eight hours a day for six days per week – what would now be called a “bootcamp” – and covered a series on statistics or data mining with case studies and a take-home exam or mini capstone project that would go into your performance assessment. Those immersive classes were part of my motivation to mentor at Springboard. Now, I have five years of experience being a data scientist, a total of twelve years of experience working with data, and three and a half years as a mentor for Springboard. Why did you want to become a mentor with Springboard? I’ve always loved teaching and I wanted to do online mentoring to contribute back to the community. Self-study is very hard – I started learning Python through a 12-week course from EDX and took additional courses on Machine Learning through EDX and Coursera. When I was doing it, I didn’t have any friends who were programmers so I didn’t have anyone to talk (or complain) to. I felt like a program that provides student mentorship would be a great way to give back to the data science self-study community. It’s been the most fulfilling and rewarding experience of my professional career – hands-down. Do you also have a full-time job in addition to mentoring at Springboard? I recently started a consulting company, Logikka, with a friend (also a Springboard mentor)! We provide end-to-end Data Science and Machine Learning solutions to clients in order to help transform their business, including in-house training at companies here in Serbia. As the co-founder and Principal Data Scientist, I lead and oversee the more technical parts of our projects (but being very hands-on). As a mentor, how do you work with your mentees at Springboard? Each student has one 30-minute call with their mentor per week at a designated time and we also stay in touch over email. I have access to the Springboard dashboard to monitor my mentees’ progress throughout the curriculum so I can see how they’re doing in the bootcamp and be prepared for the call. Springboard students in the AI/Machine Learning Career Track have a lot of support – mentors can answer questions over email or in the community forum, Teaching Assistants (TAs) are available, and they have Unlimited Mentor Calls where students can reach any number of mentors. If you’re working on a homework assignment or mini project and are really stuck, you can easily contact a mentor for help. How is mentoring for Springboard different from teaching? Mentoring itself isn’t teaching – mentoring is guiding someone by lighting the way. Yes, we can get more hands-on if needed, but Springboard has other academic resources to help with that portion. There’s also a fine line between mentoring and tutoring – for example, in academia, a PhD student is going to meet with his or her advisor to understand something from an academic paper, not a specific math concept, expecting the advisor to teach them something using chalk on a whiteboard It’s about guiding students through the curriculum, the mini projects, and the capstone project, and making sure they’re on track to graduate and aren’t falling behind. Sometimes, mentoring is also being an ear to listen when my mentees need to vent – six months in a bootcamp is a long time, so if they get discouraged, I’m their “hype man!”, and am there to help them recognize how much they’ve achieved so far. I’m also able to shed light on the Data Science career path since I follow the industry in its technical progression, how the Data Science role is evolving, and the latest job requirements in the market. Do Springboard students work in addition to taking the bootcamp or is it a full-time commitment? Springboard’s AI/Machine Learning bootcamp is primarily a self-study program and most of our career-tracked students are in-between jobs and are fully committed to the course. Some do have full-time jobs and families, but some might have a part-time job and the rest of their time is focused on Springboard. Most people will finish in 6 months if they spend 15-20 hours per week on the course. What types of students take the Machine Learning/AI bootcamp? First, experienced Software Engineers who want to get into machine learning because lots of software products (from web services, to phone apps, and even physical products that, of course, run on software) have a machine learning model at their core. If they’re going to be the one integrating these models, they want to know how to build them and add to their full-stack skills. The second group are Data Scientists who have been working for a few years but not building software and want to up their game because more employers are looking for full-stack data scientists – people who can build a model and also package it up properly so the engineering team can just “plug-and-play” the model. Because your students have professional experience as a software engineer or data scientist, are they getting jobs as Senior Machine Learning Engineers when they graduate? By its very nature, Machine Learning Engineer jobs are “senior.” After graduating, students will be qualified for a senior level engineering position in Machine Learning. What goes into Springboard’s Machine Learning curriculum? Data Wrangling – all the different ways of acquiring, cleaning, and analyzing the data in various shapes and forms, including doing it at scale. Math and Probability used in Artificial Intelligence, covering the “engine” behind deep learning – linear algebra, calculus, and probability and Bayesian statistics. Machine Learning at scale covers Spark, the primary Big Data engine in the market, and how to do data processing and Machine Learning on it. Finally, there’s a unit on the ethical and philosophical aspects of AI and its rapidly growing omnipresence in our lives, plus a look ahead on what’s coming next. Machine learning is going to be everywhere – in our daily lives, our society, our governments, our financial institutions. It’s going to be in the technology we use, it’s going to impact our economy. We want our students to be literate about data and aware that decisions are being made by algorithms. If we train algorithms using historical datasets that are already biased, then we’re training bias into the algorithm, and merely automating existing social injustices - or, as Holden Karau once said: “we’ll just burn the world down faster, but with data”. 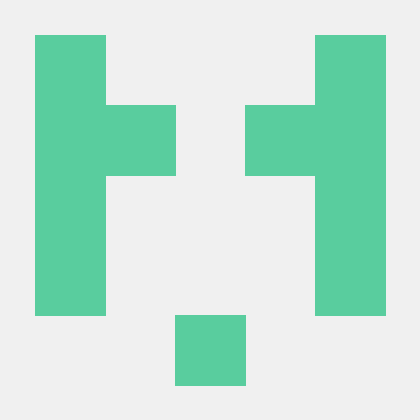 Could you give us an example of a Machine Learning capstone project? Quora hosted a competition to build the best model for detecting similar/duplicate questions on their website. One of our students could reproduce something like that. It’s text data so there’s a lot of data wrangling and cleaning to be done. It allows you to use both the traditional NLP approach with established ML algorithms, but also use new Deep Neural Network approaches and compare the results. You can wrap it up into a RESTful API service that could pull questions out of Quora and say whether they’re duplicates or not in real time. You work in data science – in your opinion, does the Springboard curriculum match the needs of the evolution of the job market? My answer might be a bit biased because I helped develop the Springboard curriculum! Our advanced course teaches you both the standard concepts, as well as cutting edge technologies. The career track curriculum gets a major overhaul once per year – for example, I recently helped enhance the Data Science track and added a unit on Software Engineering best practices for Data Scientists). Data Scientists need to be able to work closely with Engineering teams, and now the Machine Learning Engineering track is an extension of that with cutting edge material. What are some of the challenges your Springboard mentees have encountered? Self-study is hard – you’re in front of the computer all day, trying to understand complex, new material. If you have an off day and a mini project is taking longer than anticipated, you can get in your own head and start doubting whether you’re good enough or whether the career is right for you. The Imposter Syndrome kicks in, especially with students who are making career changes and don’t come from traditional STEM backgrounds. We have students from the social sciences who didn’t have as much math or programming experience but became excellent Data Scientists because of the course’s strong methodological approach. I’ve been through the same things they have so I understand the emotions they’re going through – whether they’re able to verbalize it or not. Why do you think Springboard is the best bootcamp option for Machine Learning? The curriculum has been carefully curated to offer the best that there is out there, to teach cutting edge concepts, and has been not only curated by very experienced Data Scientists, but also by Instructional Designers who are experts in adult education. I think it’s the best option because while it has a six-month deadline, it still allows for flexibility from week-to-week to accommodate for life interruptions. I also think the sheer amount of support that you get from the Springboard team – mentors, TAs, mentor calls, student advisors, career coaches – and an active online forum where I have seen more activity in the machine learning career track with students asking questions and problems they’ve encountered, as well as showcasing their solutions afterwards.. Students answer students, TAs and mentors pipe in when needed – there’s a real sense of camaraderie that exists which is extremely important because of the inherent difficulty of the self-study course from a psychological and motivational point of view. When I started mentoring, Springboard was the only option, but now, quite honestly, I feel like Springboard is THE best option for students interested in a Machine Learning bootcamp and for professionals interested in mentoring, especially with the job guarantee. Springboard’s Machine Learning Career Track is for applicants who have experience in technology. What is your advice for beginners who are interested in a career in Machine Learning? I would suggest brushing up on math, especially a calculus or statistics course at the first year college level. Having a college degree isn’t required to do the course but some larger employers do require a college degree for hiring. Additionally, practice your programming skills - the Springboard entrance exam consists of three non-trivial programming problems, so your “coding game” needs to be at a good level. If you don’t know anything about programming, you should take a programming course first and find some online resources to practice your skills. You can reach out to the Springboard admissions team for recommendations. We have entered an age where there will be no shortage of jobs for people interested in, and are comfortable, working with data. The level, complexity of the work, and position will depend on your knowledge, required skillset, tools that you’re proficient in using, and the work you put in, but if you want to work with data, you will not be unemployed. Read more reviews of Springboard and learn about their AI/Machine Learning career-track bootcamp on their website. What do Machine Learning Engineers do and how are their jobs different from Software Engineers and Data Scientists? 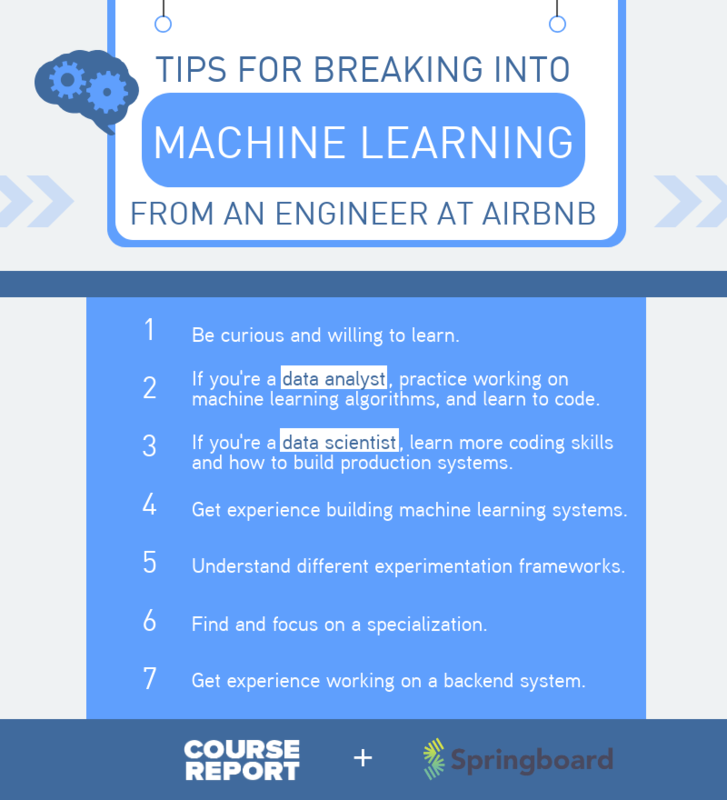 Chirag Mahapatra, a Springboard Mentor and Machine Learning Engineer at Airbnb explains how you can become a Machine Learning Engineer, what the hiring process looks like for a Machine Learning Engineer, and what qualities companies are looking for in a Machine Learning Engineer! Brandon became a software engineer by attending a coding bootcamp, so when he wanted to shift his career to data science, there was no question he would turn to another bootcamp. He wanted to keep his part-time job and was living in a remote area, so he decided to enroll in Springboard’s flexible online data science bootcamp to learn at his own pace. Brandon tells us how Springboard prepared him for the job search, his salary increase, and how his background in software development helps him in his new job as a Data Scientist at Red Ventures! What were you up to before Springboard? What led you to study data science? My undergraduate degree was in Economics and I did not have any programming experience in school. I started out working as an analyst at a consulting firm, but as time passed, I often worked with software developers who were doing really deep technical analysis. They were using software as a tool and I wanted to learn more. I'm actually a two-time bootcamp graduate. To transition from an analytical role to a full-time programming role, I attended a full-time, in-person bootcamp called Codeup in 2014, where I learned the LAMP stack. I got to work as a Web Developer and I’ve written in a few other languages since then. But data science seemed to be that sweet spot between thinking about a problem in a truly deep analytical sense and having the tools to actually act upon those thoughts. I wanted to solve problems using software and machine learning as a tool. Since you had already learned to code at a bootcamp, did you consider teaching yourself Python and data science? I did. I definitely used some self-guided online resources like Data Camp, but in my learning experiences, I’ve really valued having a dedicated mentor, which I had in my previous bootcamp experience and which Springboard offered. The mentorship was really the big selling point for me. I was looking for a data science bootcamp to help me make that transition. I had done some self-study, but ultimately, I'm a big believer in setting aside a few months and really dedicating it to learning a new skill. I knew the value of setting aside the time and really immersing yourself in a topic. Why specifically did you choose Springboard? Did you consider any other data science bootcamps, like in-person bootcamps or other online schools? I had considered some in-person bootcamps, but at the time I lived in a very rural area. Making a four-hour trip to New York or another major metro area wasn’t an option. Whereas at Springboard, it doesn’t matter where you learn from, as long as you have an internet connection and put the work in. I didn’t consider any other online programs – Springboard was already on my radar. Springboard had the four factors that were the most important for me: the ability to learn remotely, the ability to have a flexible schedule so I could still work part-time, dedicated mentors, and Career Services. They did a really good job providing me a structured way to apply for jobs all over the country and ultimately helped me find something that piqued my interest. What was the application and interview process like when you applied for Springboard’s Data Science Career Track? There was a coding and statistics entry exam which took one or two hours. They provided some resources to prepare – exercises in Python and some statistics questions. I wasn't super comfortable with Python at the time, so I had to brush up on syntax. It had also been six or seven years since I had been in a statistics class, so I had to find some resources for that as well. I spent one weekend studying. Once you started studying with Springboard, what was the learning experience like? It was a mixture of external resources they had curated, along with custom teaching. Throughout the week I could set my own pace, and decide which exercises to complete. At the end of the week, there was a 30-minute call with a mentor, where I had the opportunity to ask explicit questions about things like career experiences or specifics about machine learning. The questions varied as I went through the course. Springboard did a very good job listing out how much time to expect a particular task to take. I could plan my week in advance and say, "Here are three things I'm going to finish this week. It's going to take me 20 hours, and I need to be ready by Saturday for my 10am call with my mentor." It was pretty much a rinse and repeat cycle every week. I would come home after work and work on those things through the evening, maybe four or five hours a night. And then on Saturday, I would work through any problems with my mentor – anything I was stuck on or confused about or just wanted to dig deeper into. How did you balance your part-time job with studying with Springboard? I was working part-time on some software development contract work while completing the course. I tried to stay pretty regimented. Between 9am to 5pm, I worked. After 5pm, I did Springboard. In fact, I would even move to different locations and have different computers so that the worlds did not collide. Were you able to interact with other Springboard students and work together on projects? Yes, in a couple of ways. There are online forums where you can ask questions of your fellow students about the curriculum and ask for input from people who might be further along in the course. I also made deliberate attempts to travel to some nearby metro areas, like Washington DC, New York, and Philadelphia for some long weekends, to meet up with some of my fellow students in person and attend some networking events. Part of Springboard’s curriculum actually encourages students to go to data science meetups and make sure that we’re not just learning the curriculum, but actually talking to people. What did career services at Springboard involve? What kind of advice did they give you for job hunting? Springboard gave us checkpoints throughout the course. I went through a series of explicit exercises and conversations during the curriculum to help narrow down the types of roles I was interested in, the cities I wanted to work in, and the industries that interested me. Before I sent out a single job application, I had a shortlist of 20 companies to start looking at. On top of that, they gave us opportunities to practice presentation skills and interviewing. Springboard covered the whole life cycle of the job search, not just, "How do I push my resume and get myself in the door?" How long did it take you to finish the Springboard program and then how long did it take you to find a job? I finished Springboard in four months. Springboard recommends taking six months, but I intentionally wanted to push myself to finish it as early as possible. I looked for a job for about six weeks. I had an offer within a week or two of completing the course, but ultimately decided that it wasn't in a location I wanted. It was very affirming to get an early offer, so I felt confident in being picky and taking my time with it. Congratulations on your new job! How did you actually find that job at Red Ventures? Thanks! I was contacted by a recruiter at Red Ventures. They contacted me regarding an engineering position, unrelated to data science. I told them that I appreciated the interest, but was looking for a position where I could further build my skills in data science. I shared some of my data science projects from the course that really showcased some of the skills I had developed. They took that very seriously and I had the opportunity to interview for the data science position rather than the engineering position. I got the role and moved to Charlotte, North Carolina, where their offices are located. What does Red Ventures do and what are you working on there? Red Ventures is a marketing firm, and we help our clients acquire new customers through various marketing channels: social, organic SEO, etc. My role as a Data Scientist is to support our products in paid search. When we're running paid ads, we have machine learning systems that help decide when to place an ad, to whom, and what price you're willing to pay for a given ad. What was the learning curve like when you first started there? Are you using the same technologies you learned at Springboard or have you had to learn new tools? I have had to learn entirely different tools, which, coming from programming jobs, was totally expected. But the underlying data science techniques are still the same. For example, logistic regression in R is conceptually equivalent to logistic regression in Python. We're even using Scala for some tools. So ultimately, the language and tools are merely delivery mechanisms, the underlying techniques are what matters. Are you on a team of data scientists or are you working alongside people doing different functions? We are one team of many at Red Ventures. The team I am on is a mixed group. We have four engineers, two data scientists, two product analysts, and a product manager. It’s a multidisciplinary team, to say the least. And I think that's one of the added benefits of having worked in different roles – I have a better sense of how my co-workers are approaching a particular problem. How else has your background in software engineering been useful on the job? The opportunities I've had at Red Ventures have been great because it has been a good mix of both data science demands and engineering demands. The data science techniques are helpful, but without thinking about how an application can build and grow and evolve over time, the data science techniques only take you so far. One of the benefits of working in an interdisciplinary team is that we use those different perspectives when we’re going to build something, and it helps build better products. Can you give me some specific examples of when your programming background has been useful? Sure. One recent bit of work involved taking applications and models that we've been running on local servers and migrating them to the cloud – AWS (Amazon Web Services). My programming experience helped me to navigate the process of migrating the applications to AWS. There were specific considerations we needed to make in terms of runtime, model monitoring, and breaking a monolithic application into smaller components. Having gone through years of building applications, I felt a lot more confident working through those considerations. You've worked as a Software Developer and now you've worked as a Data Scientist. What are the main differences between working in those two fields? Do you prefer data science now that you're in that field? For me, the biggest difference in the role as a data scientist is that I have more autonomy to help decide what should come next on our roadmap. In some of my software development jobs I had very little input into the features I was building. But as a data scientist, I actually get to be part of the conversation where our team identifies and prioritizes features we think are the most valuable. The fact that I can have that conversation and really drive the direction of the application and how we're working as a team is something I really value. 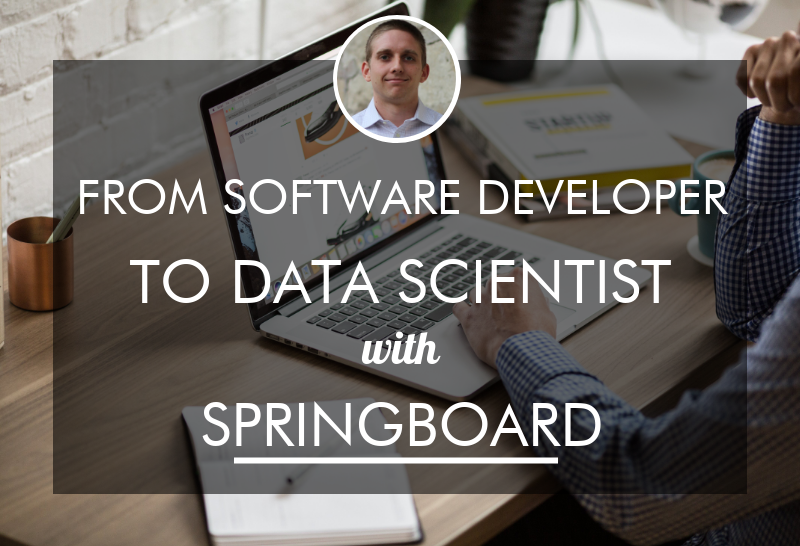 What kind of role has Springboard played in your success in becoming a data scientist? Could you have got to where you are today by self-teaching? I think it would have taken me much longer. Is there an abundance of material out there? Absolutely. Would I have been able to curate it for myself or been able to seek out mentors or career support? Yes, absolutely. But it would have taken me months, if not years, longer. In Springboard’s latest Outcomes Report, they found that students received an average salary increase of almost $20,000 compared with their previous jobs. Is this something you experienced? Yes. It was a very nice transition in that regard. I can attest to the results there. I think it's very market dependent. I lived in a part of the country with a lower than average wage for Software Developers. So part of it was me being willing to move and make that transition. Have you stayed in touch with other Springboard students? Have you heard if they have found jobs as well? I got to meet some of my classmates in person for the first time about a month ago. Springboard had a two-day, mini-conference in San Francisco, and I decided to make the trip out to hear some of the speakers and hear some student success stories. That was a really cool event – to go from never seeing any of these people to getting to talk in person and hear how they've succeeded. The few I've been in touch with who completed the program have either found new roles or taken the skills and applied them to their existing roles. I have yet to speak to someone who hasn't been pleased with their outcomes. What advice do you have for other people thinking about making a career shift through an online data science bootcamp? The best advice I can give anyone considering a remote bootcamp would be to set a schedule and stick to it. I would not have been able to complete this course if I hadn’t set a schedule. For people working remotely, being on a regimented schedule is the most important part. If you're in a classroom, you have someone really kind of pushing you. If you're on your own, you have to put that pressure on yourself. Find out more and read Springboard reviews on Course Report. Check out the Springboard website. 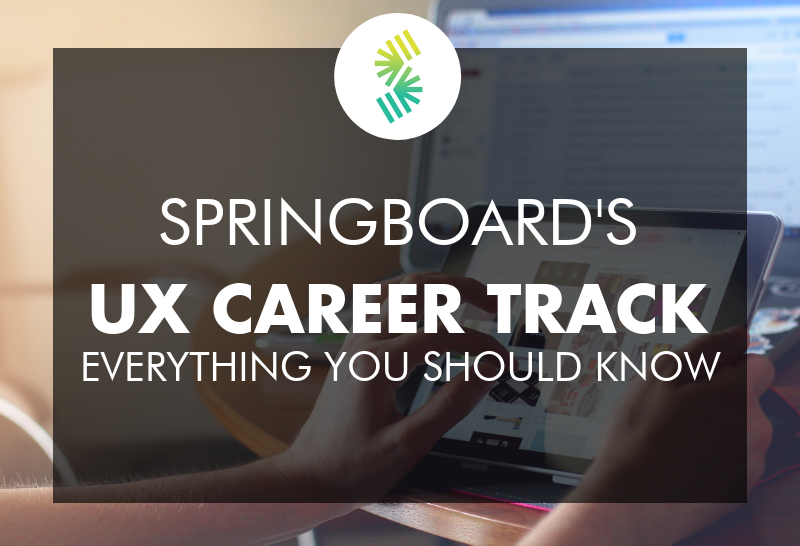 Springboard recently launched the UX Career Track – a flexible, 6-month, online bootcamp that prepares you for an entry-level UX design career. We sat down with co-founder Parul Gupta to learn about the application process (including the 3 backgrounds that could make you a great UX designer), the mentor-driven learning style, and how Springboard will make good on their job guarantee for the UX Career Track. Parul, what inspired you to start Springboard? Describe your background and your current role at Springboard. I co-founded Springboard five years ago. I came from an engineering background – I studied Electronics and Computer Engineering in college and grad school and worked at a tech startup. A moving personal experience amplified my interest in education. Back in 2012, when I was working at IBM Research, I needed to learn new skills for an upcoming project. Between being a mom to a 2-year-old and a full-time job, conventional offline courses weren’t an option for me, so I was forced to look for alternatives. Fortunately, it was the early days of the online learning revolution and I found two excellent online courses taught by the best experts in the field. I worked hard on them during my commute for weeks and successfully completed them. That experience was truly transformative and I wanted to help make good education accessible to people around the world. Throughout my journey within Springboard, I've built each function from scratch – I built our engineering team, then moved on to product and operations and curriculum design. Now I’m overseeing our new courses like the UX Career Track. Coming from that more traditional background, how did you feel about the bootcamp model? Were you skeptical at first? Actually, I totally believed in the bootcamp model to train people for jobs in the new economy. I got the four-year degree and went to grad school, but what I learned in college is not what helped me build Springboard. When I was starting Springboard, I took a bunch of online courses and put myself through a pseudo bootcamp. Springboard has taught a shorter UX Skills Track for a while – why did you decide to focus on UX design as a Career Track? To be honest, we are overdue for a UX Career Track. We’ve offered a UX Design Skills Track for years. The Skills Track is meant to be more foundational and give students an overview of what UX design is – we always knew that there was much more value to add. About 50% of our Skills Track students wanted a career in UX design, so there was a big need for offering a more advanced program with career support. The UX Career Track is for students who want to change their career – what’s the time commitment? This is a six-month, flexible program with career support for up to six more months after graduating, or until you find a job. Since students are learning one-on-one with a mentor (instead of live instruction), we can keep our courses flexible and our students really appreciate that. If you’re working on the Career Track for 20 hours per week alongside another significant commitment, then we expect it will take six months. But if you want to dedicate more time to finish it quicker, then you can pay by the month. What does the curriculum cover compared to the UX Design Skills Track? Advanced topics. We go deeper in the foundational principles of the UX Design process. For example, we cover an overview of user research in the Skills Track, but we go much deeper in the Career Track. We’ll also cover advanced topics like psychology of UX, emotional design, persuasive design, UX for emerging technologies like voice interfaces, cars, data visualization and dashboards etc. More practice through projects. The Skills Track has about 50-70 hours of projects, but the Career Track will have 120+ hours. You’ll build a fuller portfolio, be able to showcase more diversity of experience, and you’ll also work on one industry project – a simulation of UX design on the job with business stakeholders and real design development teams. Learning to be a UX designer in the real world. We cover several soft skills that are important to the hiring process. E.g., how do you present your design to stakeholders? how do you work with developers? Job search + career support through one-on-one coaching and employer connections. We will also cover tools like Sketch, inVision, Figma, Zeplin and parts of the Adobe suite which are highly valued by employers. Is there any coding in the UX Career Track curriculum? How technical do you think a UX designer should be? That really depends on the particular demands of the company. More skills are always better than less, but there are plenty of companies which don’t require designers to code. However, coding skills really are handy in prototyping and testing your designs really quickly. If you can prototype yourself, then you're not dependent on a developer and can simplify the lean launch process. Our core curriculum will not teach any coding, so it's not mandatory for students to learn it prior to the Career Track. But we are working on specializations, which our students can take if interested, to learn those prototyping and basic coding components to have an advantage. There's a lot to cover in UX design – how did you narrow it down and design the curriculum? At Springboard, we have a thoughtful process for identifying what topics to teach in our programs. Since, our education is career-focused, our model is very industry-first. We work with industry experts, even before we decide to launch a Career Track, and then very closely as we are building out the curriculum. We talked to several UX hiring managers in different sized companies, stages and industries, and asked them what skills were important to them in new hires. Based on that, we came up with a list of both interesting backgrounds that students should have, but also skills they should learn through the program, and we built our curriculum to that. And because we already have the UX Design Skills Track, we have a large mentor community of experts in different fields who helped develop the Career Track, and provided feedback on which topics and tools to cover. How do you teach something like UX design in an online environment? Our pedagogical approach is project-first. We always start with what you’re building, why, and for who. We use that project to introduce the theory, the concept, the principles, even the tools that students need to reach that objective. We ensure that students really internalize the design thinking process through repetition of key skills and practice via multiple mini-projects. The process for UX design is extremely collaborative – you have to do user research, talk to users who will be using the end product, etc. Sometimes this happens in an online environment, but likely it will happen in-person. Depending on the project that a student takes on, they may need to interact with users offline. Springboard gives you the infrastructure, tools, and principles to go out and do that. As you go through a project, you’ll discuss it with your expert mentor and get feedback on different stages. If there are areas where you need to invest more time or iterate, then we provide you the resources and the guidance to do so. This is a great simulation of the real world of UX – it doesn’t happen in one shot. It's very iterative. What are you looking for in the ideal student for Springboard’s UX Career Track? Is the admissions process selective or can anyone get in? The admissions process is selective, and we’ve developed our admissions standards with the help of our hiring partners. There are a few backgrounds that are highly valued by UX hiring managers. Applicants from visual design backgrounds – graphic designers, visual designers, UI designers, interaction designers, or even some kinds of visual artists - are a great fit. People with a background in these fields bring an aesthetic and creativity that’s valuable in UX design. Applicants who come from a research or psychology background also do well, especially from social sciences and ethnographic research because they bring strengths in user research: talking to users, identifying problems and solutions, and synthesizing it into insights. Finally, applicants who come from development backgrounds – web development and front end development – have an advantage. Of course, there are people outside of these backgrounds who can also do well in UX design! If somebody does not come from any of those three backgrounds, then we recommend they take the UX Design Skills Track and develop some of those skills. Would you recommend taking a prep program before the UX Career Track? How should someone prepare before they apply? Right now, we are really looking for aptitude rather than skills in our admissions process. We’re looking for problem solving and communication skills, so right now, we are not recommending that people take a particular prep course before they apply for the Career Track. That may change as we interview students though! Springboard is offering a job guarantee for the UX Career Track – how will you help your students get those UX jobs? The fundamental pillars are the same between our UX Design Career Track and Data Science Career Track: a career curriculum, one-on-one career coaching, and employer connections. From our Data Science Career Track, we’ve learned the most important elements of a career curriculum – how to present your background to an employer, how to write a resume or LinkedIn profile, how to write a cover letter and the importance of networking in job search. All of those are covered in our career curriculum. Students get one-on-one coaching with our career services team members who help them craft a job search strategy that makes sense for their background. Then they work on mock interviews and portfolio presentations to give them the confidence they need to ace those interviews. Finally, we’ve started building out our UX design employer network so we can connect our students with opportunities that will be a good fit and accelerate the job search process. If somebody starts the UX Career Track as a beginner, do you anticipate that they'll be ready for a junior UX design job? They’ll definitely be ready for entry-level jobs. Of course, if they have prior experience, for example, in visual design, they could get more advanced (and well-paying) jobs. But the course itself is covering skills that would be needed for an entry-level job. You started Springboard five years ago – what's been the biggest lesson that your team has learned throughout the last five years of Springboard? How will you bring those lessons to this new UX Career Track? We started Springboard as an aggregator for online courses with the thesis that people learn from great content. But our biggest learning has been that the importance of human contact and human mentorship is irreplaceable. You cannot automate or dehumanize education. That's why one-on-one mentorship is at the very core of our philosophy today. Another thing that we’ve learned more recently is that it’s not just skills that get our students jobs. Students sign up for these Career Tracks because they want to advance their careers, and we have to support them in that process. We are a partner not only in your learning journey but also in their job search process. What's your advice for students who are embarking on the UX Career Track? We understand that changing careers is hard. We've seen it in other Career Tracks – students go through the ups and downs, imposter syndrome and all of that. But don't get discouraged! If you are committed and ready to put in the work, it will be very rewarding. These six months of hard work will be worth it when you get the career that you aspired to have. We look forward to supporting you through the journey. Read more Springboard reviews on Course Report. Check out Springboard’s website to learn more about their courses. Online school, Springboard, recently launched a new deferred tuition program for their Data Science Career Track, with the intention of expanding access to all students and aligning the school’s incentives with their students’. We spoke with Jonathan Heyne, General Manager of Data Science Programs, to get the rundown. With a job guarantee and a mission to help the best applicants land a dream job in data science, see how Springboard equips their graduates for success with more tuition payment flexibility and job search career services that start in Week One. What’s your job as the General Manager of Springboard’s Data Science Programs? What inspired you to work at Springboard? We always strive for excellence, and that’s ingrained in how we build our courses, the online platform, and how we work with Springboard students. It's my job to make sure we devote proper resources and attention to the highest priority projects that are most valuable to our company and our students. I help provide students with a powerful data science learning experience, which means supporting them in upskilling or changing careers. I'm a huge believer in the power of education to transform lives and I devoted a significant part of my career to it. I've been a teacher in three different continents. I'm a lecturer now at UC Berkeley School of Business, and I started an educational company that was acquired back in 2013. Being in this space, it's very clear that the industry today is moving faster than ever and traditional education is not able to satisfy the market's need for skilled employees. But online education institutions like Springboard move just as fast as the job market, and can fill this skills gap. Moving fast and being effective means that courses need to be developed with a firm understanding of what the industry and students need. It was an easy decision for me to join the interesting and supportive community at Springboard. Springboard is already online, which does a lot to make a data science school more accessible. Why did you decide to launch a deferred tuition program? Being online obviously helps us reach a broader audience, but we've seen that each student’s financial situation is often a significant factor in making the decision to enroll or not. We truly believe that finances should not be a limiting factor for anyone who wants to follow their passion and realize their full potential. Collectively as a society, we can not afford to have smart and motivated people prevented from furthering their education because they can not pay for a course. Springboard believes that making our courses more accessible helps us attract more qualified students, which promotes more social good. We had an obligation to offer a deferred tuition program. 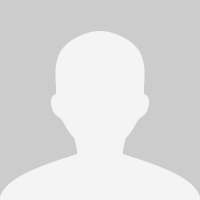 Tell me about the ideal student for the deferred tuition program. Are you looking for someone with experience or a certain background? First, it is worth mentioning that even before we launched a deferred tuition program, we were the first data science program to offer a job guarantee. So we were, and still are, deeply invested in the success of our students. The Data Science Career Track is designed to attract the best candidates and actually support them through this rigorous six-month online experience that results in a career change into data science. The ideal candidate isn't really any different than our current students – motivation, career goals, desire to succeed, willingness to work. The only change is that this program is now designed to help students who may not be in a position to make an upfront investment in education before seeing the benefits from the course. It purely means that we opened our doors to more students and lowered the financial barrier to entry. To complete the picture, Springboard also offers introductory courses to prepare students for the Data Science Career Track. Springboard has been teaching data science skills since 2017 – has the data science curriculum changed at all since it first launched? We update the courses often based on feedback from everyone involved – students, mentors, and industry professionals. Students who join Springboard today would actually be learning the third version of the course. We now cover practical software engineering skills and we beefed up the Data Science at Scale section to now include tools like Spark ML. And we added an entire unit on subjects like testing, debugging, and collaboration skills. We also introduced the option to customize your course experience. Based on their own fields of interest, background and skills, students can choose a specialization to focus on – advanced machine learning, natural language processing, and deep learning. All of our courses are developed with industry input from our employer partners and mentor network. So every time we update a curriculum, we work with subject matter experts from the industry to identify best practices. If hiring practices have changed, we can keep the courses up-to-date. And finally, one of the most exciting changes: our mentors are all active, practicing data scientists and we learn from our students that they really appreciate the level of advice they receive from these mentors. We recently rolled out unlimited mentor calls – in addition to their weekly one-on-one call, students can access mentors as often as they need. Students can get on the platform, schedule a call for that day, later that night, or for tomorrow morning, and get unstuck immediately. Has the admissions process changed as well? What can applicants expect? For the admissions process, Springboard sets up applicants for success – we never accept a student whom we don't believe we can really help. We look for people who are prepared for the course, not only technically, but also with passion for pursuing their goals. Students start with completing an application form, then they go on to complete the technical challenge covering the basics of programming and statistics. The admissions process has not changed because of the deferred tuition program, but we recently added a more personal element to the process with video interviews. Applicants are asked to complete a short video recording of themselves responding to a certain prompt that we send them as the behavioral interview element of the process. Tell us the details/terms of the deferred tuition agreement. The total amount that students pay is fixed for all deferred tuition students, it’s not tied to their income. Students submit an upfront refundable deposit of $700 and gain full access to the course. Once students accept a job offer and start working, that's when they begin paying the deferred tuition – $817 a month for 12 months totaling to $10,500. Are there eligibility and location requirements to get deferred tuition? What if an online student is learning in a remote city? Students must hold a bachelor's degree. They must be proficient in English and they must be eligible legally to work in the U.S. or Canada. Students can be anywhere when they want to learn, however, we do require students search for a job and be willing to relocate to one of 20 major metropolitan areas in the U.S. and Canada that we support. Deferred tuition makes job placement even more important – when does the job placement/preparation process start? It's true that job placement is important for us as a business because we don't get paid if students are not placed in jobs. We have to balance our role as a school and as a business, but we always skew towards supporting our students more. Structurally, we want to align our incentives with our students’ – we are not getting paid if our students are not successful. That same motivation drove us to offer a job guarantee, and now also introduce deferred tuition. What does Springboard do to help students find data science jobs? The entire experience of the Data Science Career Track is geared towards getting the student the job. If you're in the course, then we believe we can help you launch a career in data science. In the course curriculum, we start by covering all the technical content and then help students prepare for the job search itself. There’s a minimum of seven hours of one-on-one coaching covering everything from crafting a job search strategy, reviewing resumes, interview preparation, and salary negotiations even after you get the offer. And students also benefit from access to our employer network of hiring companies for exposure and job opportunities. We also submit resumes to company recruiters and hiring managers. Next month we’re hosting an offline summit for students, alumni, mentors, and our hiring partners geared towards helping students find a job. Which types of data science roles would Springboard grads be qualified for? Depending on a student’s background, a graduate would be qualified for entry and mid-level data scientist and data analyst positions. The boundaries between these roles are not always clear in the industry as you’ll see some companies defining roles as “analyst” instead of “scientist” and vice versa. The most important thing I advise students on when looking at positions is to not only look at the job title, but also at the job duties and the skills that are required. More specifically, we see students landing jobs as Data Scientists, Data Engineers, Machine Learning Engineers, and various types of business analytics roles in internet companies. Recently we've seen students land jobs at companies like Kaiser Permanente, McAfee, Dell, Boeing, Shell Energy, HP, Accenture, Ford Motors, and others. What’s the average starting salary of a Springboard data science program graduate? I want to be careful about giving a number for average salaries because we're an online course, so students are all over the U.S and salary benchmarks range. They change very significantly by the industry and city, so students should focus on the role and the geographical area they want to live in. However, I am very happy to share that the average salary increase that our students receive after Springboard is about $20,000, or more accurately – $19,919 dollars. Tell me about the biggest lesson your team has learned throughout the time of operating Springboard. How are you bringing those lessons to this new deferred tuition offering? Every day is a learning experience and at Springboard we learn from everything we can. Many new features and improvements that we’ve added are based on feedback. Having seen thousands of students take our courses over the last couple of years, we've had students who barely passed the admission test or who had seriously challenging life circumstances but with inspiration, grit, and determination they aced the course. They were able to land a data science dream job. We've also seen the opposite, where students come in with all the tools needed to succeed,but they were not dedicated and motivated enough and they barely completed the course. So in the end, students who are focused, motivated, and serious about making a career change are most likely to succeed. It’s become obvious that as an educational institution, our goal is to simply remove any obstacles that might prevent these motivated, talented people from fulfilling their dreams. Deferred tuition is just one more step in that direction. What is your advice for students embarking on a new data science program? Any tips for getting the most out of it, especially if they are trying to change their careers? First, know that you want it. That's the most important one. Be prepared to work harder. It’s going to be worth it, but changing careers is never easy. It's not an easy undertaking and changing into a field that is as hot and in demand as data science is arguably even harder. Acknowledge that it's going to be a marathon, not a sprint. There are going to be ups and downs, but be willing to put in the time and effort, and you will change the trajectory of your career. You will set yourself on an exciting and rewarding path forward. And Springboard is here to have your back and do our part. Any other information you would like to share about Springboard’s deferred tuition model? Whether you choose the deferred tuition payment option, pay upfront, or choose the monthly payment plan, this Data Science Career Track is the same course. Students still have the full support of their one-on-one mentor, the new unlimited mentor calls, personalized career coaching and the vibrant Springboard community. With the increasing threats of data breaches and leaks in our interconnected world, it’s clear that cybersecurity is more important (and visible) than ever. But are you cut out for this career? Manju Mude, a cybersecurity expert and member of the Paranoids at Yahoo, answers our questions. 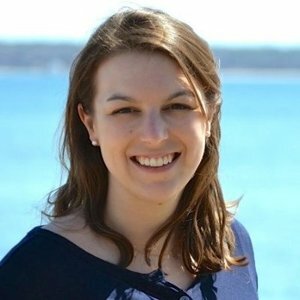 She tells us why every technologist has the responsibility to build products safely and the steps you can take to become a cybersecurity professional. 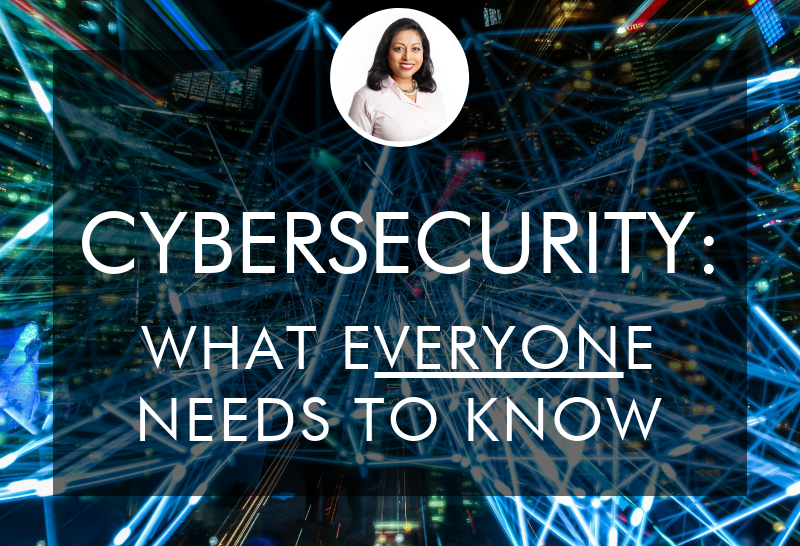 Plus, as a member of the advisory panel for Springboard’s new Cybersecurity Career Track, we ask Manju what’s missing in cybersecurity education today – see her thoughtful answer. 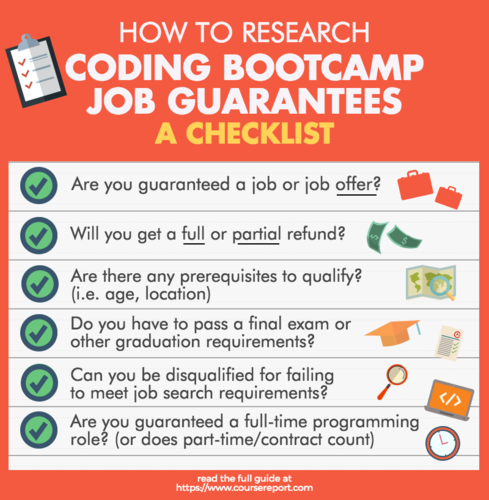 If you’re planning to take out a loan to pay for your coding bootcamp tuition, READ THIS FIRST. Borrowing money can be confusing and stressful, but there are a number of ways to make sure your debt doesn’t pile up more quickly than you were expecting. 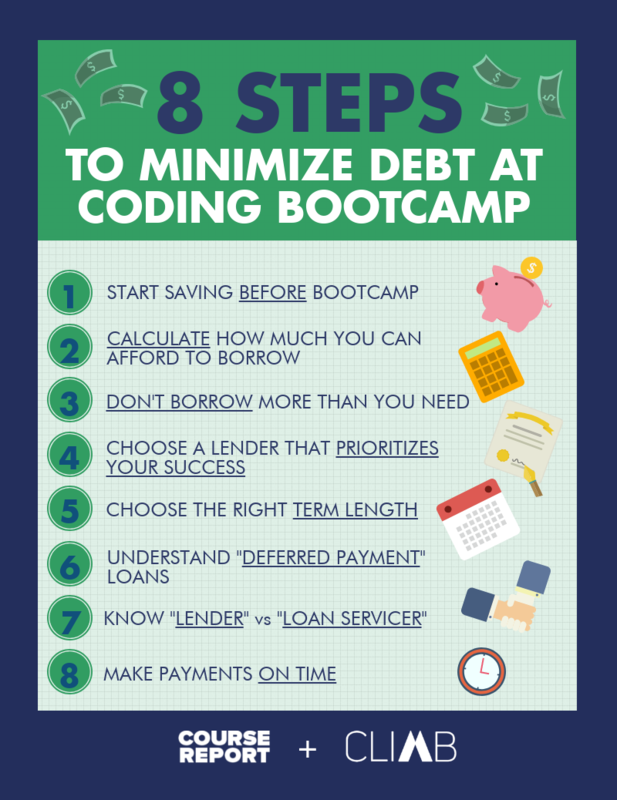 The team at Climb Credit, a student lender focused on career-building education, drew from their experience working with bootcamp students to put together this list of ways to be smart about your loan, and avoid accruing unmanageable debt by the time you graduate. Freedom and flexibility are core to Springboard’s online, six-month Digital Marketing Career Track bootcamp. But the mentors are the ones who keep students focused and on track! As a former VP of Marketing at a real estate startup with 20 years of experience, Dave Bascom now mentors 6 Springboard digital marketing students. Learn about the Springboard mentor process and see what qualities Dave finds in the best digital marketers. Dave, you mentor at Springboard part-time, what’s your full-time job? I actually just left my position as Vice President of Marketing at Homie, a real estate tech startup here in Salt Lake City. I’m currently doing some marketing strategy consulting before I join my next startup. Your job in marketing really varies depending on the size of your company and the marketing team. Homie was a startup with a small marketing team of four people, so as the VP of Marketing, I was responsible for overseeing and managing all of our marketing efforts. My focus is on growing revenue and acquiring users. Mentoring with Springboard’s Digital Marketing bootcamp sounded like a really interesting opportunity for me to give back. I found out that they were looking for mentors on LinkedIn, and I've loved it. How have you seen marketing change as a field over time? I studied advertising at Brigham Young University in Provo, Utah. As part of that program, I had to do an internship in an advertising role. I worked with a local media company, Utah.com, and that turned into a job after I graduated from college. This was in 1998, so I was working on what we now call SEO. I loved it, learned a lot in that role, and have stuck with marketing ever since. As the VP of Marketing at a startup, I now work in probably about half in traditional marketing like direct mail, radio, billboards; and half in digital marketing like Facebook, Google Ads, retargeting, and email. Since you took a traditional education path into marketing, what did you think of bootcamps? Were you skeptical of the bootcamp model? My degree was in advertising and a lot of the principles I learned are relevant to my job today, but I don't feel like I really learned much that I’ve actually used in my career. Again, I graduated in 1999, so back then they were teaching very little digital marketing. I took one digital marketing class in the entire four years and because of my internship, I knew more than the instructor. College was still valuable education, but I don't feel like I learned information that I couldn't have learned at bootcamp. A course like Springboard’s Digital Marketing bootcamp is more focused on the craft of digital marketing. You can get a good base of knowledge in the traditional route with a bachelor's degree. You’ll learn foundational business and marketing principles depending on your major, but four-year degree programs teach less tactical skills. Springboard is more beneficial in terms of actually learning applicable skills. So what does it mean to be a mentor at Springboard? The design of the Springboard mentor program is to have freedom and flexibility for students to set the agenda. They tell me which questions they want to discuss. I’m still learning how it works, but essentially, mentoring entails regularly-scheduled half-hour calls every week with each of my six students. Sometimes calls may be a little bit longer depending on if we have time or more to discuss. Springboard instructors set the agenda and curriculum for the course. Then, students come to me with questions about projects and assignments and I’m able to help and give feedback. What do you talk about in those mentor calls? I have six different mentees and they're all great, but they're all in different places in their career and and have different motivations. It's fun to get to know them and hopefully be able to help them along in their career path. Every student is different in terms of what they’re trying to get out of Springboard. Some students are entrepreneurs, heavily focused on how to market their business, so their questions are specific to their business. Others have more theoretical questions because they don't have a client or a business they're focused on. They may be working in a different career, but they want to move into digital marketing so there's more focus on the actual course itself. It really varies. My mentees ask me questions about their assignments or like, "I created this landing page or buyer persona profile – can you give me feedback or show me how can I improve this?" Also, some of my mentees are going through a job change and ask for advice on interviewing tips or how to approach the job search. I try to make sure that whatever questions they have or whatever they're dealing with, I’m there to help. Did Springboard help train you to be a good mentor or does it just come naturally to you? Even though I don't have a lot of formal teaching experience, I have hired and worked with a lot of digital marketers over the years as an informal mentor. But this is my first time in a formal structured mentoring program where it's tied to a curriculum. Springboard did some initial training about expectations of what they want us to do, and they have occasional follow-on training. They also have people on the team who check in with me on a regular basis to answer any questions or concerns that come up. We also have a feedback system for both the mentor and the mentee where every week when we do our call we will log how it went and if there are any concerns about that student and vice versa. You have 20 years of experience in digital marketing – what do you think of Springboard’s Digital Marketing curriculum? The curriculum doesn’t go super deep in any one area, but it's a great foundational baseline. Springboard covers the right topics: marketing fundamentals, analytics, content marketing, SEO, paid and organic social media, display ads, conversion rate optimization, email marketing and career resources. If I were to create a digital marketing curriculum, this is where I would start – it's pretty solid. The Springboard digital marketing bootcamp is pretty new, so the curriculum will evolve and improve over time. Is there a specific type of person that makes a good digital marketer? That's a great question. It's hard to pinpoint exactly one type because so many different types of people are successful in digital marketing. In general, the most successful digital marketers have curiosity and a thirst for learning. To be successful, you can’t get complacent with results and you should always look to improve. Tactically, details change pretty often in digital marketing, so even within a specific campaign or account, you have opportunities to learn and test, and realize that there's not one right answer. You learn what works in general, but there are a lot of opportunities to iterate and optimize improvement. The best digital marketer is creative but also cares enough about the analytics and the data behind that creative. I've seen a lot of people who are super creative, but they just don't pay attention to the numbers or care about the results. Others are super analytical, but they don't have any good ideas on ad copy. To be successful, especially at the strategic level, you've got to have a combination of creative and analytical skills. Do you think that the modern digital marketer needs to know how to code? It’s also important to understand which technology is involved in a project and how it works so that you appreciate a good developer. You can't really exist as a non-technical marketer. The more technical skills you have, the better able you are to interface with a developer to communicate what needs to happen. You’ll also understand the potential limitations of the technology. So it's beneficial to know coding, but being an expert coder isn’t a requirement by any means. Does this Springboard digital marketing course teach any coding? If they do, it’s pretty minimal. Springboard students are implementing a lot of landing pages and creating HTML emails. Most of that happens through a WYSIWYG editor or a platform like Unbounce, so there are opportunities within those platforms to dig in and code, but it's not a requirement. What types of projects are your mentees working on? There are several projects that build on each other. A recent one is around creating an ideal buyer persona profile – their demographics, their age, what they care about, their pain points and what they're looking for. Students then build on that to create this value proposition statement around this piece of content. One of the early assignments is a digital marketing salary guide – an e-book. Students create the marketing material for that e-book, from landing pages to Facebook pages etc. Students are looking at other content on the web and critiquing and identify what's good, what's bad, and what can be improved. From a Springboard mentors’ perspective, I can see assignments that they've submitted and give feedback. Also, through the dashboard I can see how they're progressing in the course in a weekly progress chart. That helps me keep my mentees on track. 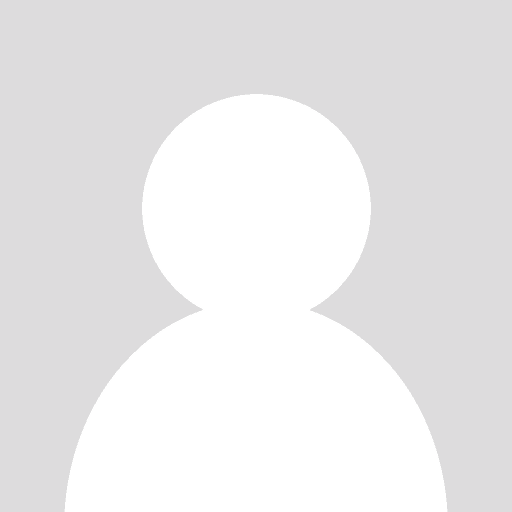 What resources do you suggest for aspiring digital marketers? There are a lot of great resources – my number one recommendation would be to follow smart people in the industry on Twitter and LinkedIn. I'm kind of a nerd, so I have a lot of Facebook friends who are digital marketers so they'll say interesting things on Facebook. There are sites called Marketing Land and Search Engine Land, which have pretty good variety, relevant, and for the most part, trustworthy sources of information. The Moz blog is great for more tactical, in-the-weeds marketing info; and they're also expanding to more than just Search. I recommend that you find local groups or meetups where you can talk to real people, and make real connections. It's always refreshing to meet people – you can get great ideas from other people in the same space, doing similar things. Sheldon Smickley is the CEO and Founder of Podible, a podcast discovery platform. After a stint in marketing agencies and solutions engineering, Sheldon actually built the prototype for Podible while attending Springboard’s Online Intermediate Data Science: Python Course! Learn why Sheldon strongly believes in the Springboard mentorship model, see the data science tools he learned throughout the course, and why technical skills have made him a better leader. What is your pre-course story? How did your background in analytics and solutions engineering lead you to founding a company? I studied Economics as an undergrad at Rutgers, but I focused pretty heavily on the quant side. I saw a lot of potential in the marketing and advertising space so I worked in analytics for about four years in the agency world. Building my company, Podible, really started during my Springboard capstone project. Did you go to Springboard knowing that you wanted to start a company? Nope, I went to Springboard because I wanted to become a data scientist at a high-skill tech company or to become a data engineer. The idea for Podible came about because I’m a pretty big podcast fan, but I couldn’t find new podcasts based on the podcasts I searched for and listened to. There’s also a podcast boom right now and the ecosystem is kind of crazy. What motivated you to enroll in a data science course? I really wanted to dive into machine learning and pursue a data science role with heavy analytics. When I was working at an agency, I was writing a lot of scripts. For instance, one of my former agency clients was a large finance company and we did a long report for them that took an analyst three weeks to complete. By writing some scripts in Python and R, I was able to get that report done in three minutes, and we were able to use that time diving into the data and coming up with more useful insights. That inspired me to how I could use Python to dive even deeper into the data. I saw that it was crucial to have a background in Python and machine learning to get a heavy analytical role at Facebook or WeWork. Springboard actually wasn't the first coding course that I did. Before I pursued data science, I did Bloc’s Rails bootcamp for software engineering. 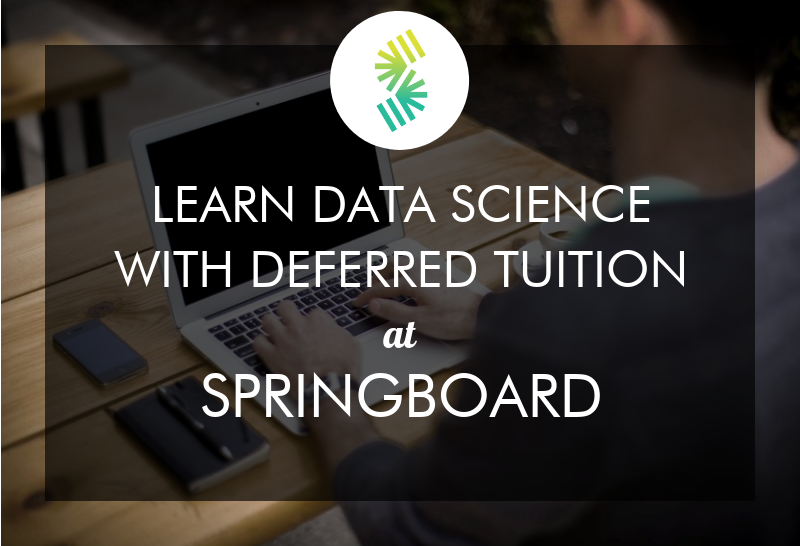 While researching data science courses, what stood out to you about Springboard? I was the total opposite of the Springboard student – that Ph.D. student who wants to switch careers out of academia. Instead, I was the hacker and the doer who tried to figure things out by reading documentation and learning on my own. I looked at courses on Udemy about how to use Python in Pandas, Spark, and their documentation on Python in data science. Those were $10-$15 courses. Then I tried the Coursera data science program, but I actually dropped the class because I found the support was pretty low. What I wanted - and got - from Springboard was mentorship. I completely believe in the mentorship model – there are definitely individuals who are self-motivated and want to learn on their own but adding a mentor as a resource enables them to get through the learning process. I also liked the fact that Springboard tested your knowledge in order to be accepted. The application required writing a simple Python loop, writing a little bit of code, and an analytics test. I liked that they curated the candidates that they accepted. Was it important for you to learn online? The online aspect was pretty big for me. I actually tried an in-person, expensive coding bootcamp in New York, but it didn't give me the resources that I really wanted. It felt like we were going through a canned curriculum versus being able to go off track and really think – that's how you discover and actually grow versus just learning a lesson. I didn’t finish that bootcamp program because it wasn’t working for me. At Springboard, the mentorship aspect combined with the online aspect meant I could take the course at the pace I wanted. I also really liked the capstone project because I could work on my own idea which was really exciting to me. Tell us about your Springboard cohort – were your classmates’ backgrounds diverse and did you get to learn with other students? It felt very diverse in regard to different ethnicities and genders, and there were people from a lot of nationalities. It felt like most of the other people in my cohort were academia-focused. There were about 25 people in my cohort, but most of my interactions were with Tony, my Springboard mentor. Most of my learning was done with Tony, but I did love the idea of having a dedicated Slack channel and being able to reach out to people if I had questions. You already knew some Python before Springboard, so could you walk us through what you actually learned at Springboard? Was there a curriculum that you followed? I previously knew web development with Python, using things like Django & Flask, but I had little experience using scikit-learn and the pandas libraries. I was impressed with the curriculum they offered. It started with solidifying the basics of statistics and ended with using advanced machine-learning libraries that could be applied in your day-to-day as either an entrepreneur, analyst or data scientist. My favorite part of the curriculum outside of the capstone project was going through the machine-learning section from Harvard’s Data Science 101 course and doing the homework in Jupyter Notebooks. Okay, tell us about your final project at Springboard, which would become your company today! I was working with Tony, who was amazing at helping me throughout the entire course. He was really supportive and I could bounce ideas of off him and see if my ideas actually had legs. I created a podcast search engine during the last month of Springboard’s Data Science course. It was a very basic Flask Python app where I transcribed a podcast from audio to text and then we took those podcast transcriptions, sorted them into specific models like topic model libraries. I searched those libraries and was able to actually see related episodes based on the content that was being discussed in the podcast. Until then, I only found really basic apps that searched the title or description. What tools did you learn and use at Springboard to create Podible? During Springboard, the app was actually called Podly, and the tools were very basic. 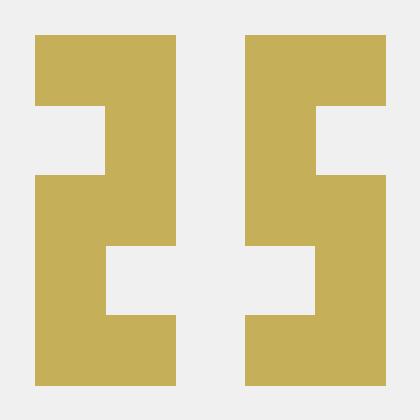 I used Python with a Flask back-end and I used the Gensim library for topic modeling (topic modeling is when you automatically identify topics in text and use that to find hidden patterns). For the transcription side of it, I used a pretty well-known audio-text based transcription project called CMU Sphinx (Carnegie Mellon University Sphinx). Once you compile it you can actually write an audio app in that tool. Today, the tools we use for Podible have completely changed. We’re now using a Django backend with React / Redux frontend, and for data engineering, we use Spark and Scala. It’s one thing to build a prototype with a few podcasts, but if you’re going to build an application that supports thousands of users simultaneously and transcribing hundreds of thousands of Podcasts, you need to up your tools and bring on experts to your team. How long did it take you to complete Springboard? I was working full-time at the time, so it took me the full three months to complete the data science course with Springboard, from the first lesson to the completion of my capstone. Did you feel like your mentor, Tony, was able to support your entrepreneurial goals? As the CEO of Podible, how do you spend most of your time? Walk us through your day-to-day and tell us about your team. We have a full-time team of four people and one part-time person, and we’ve raised some money and now work out of a WeWork. In regards to my day, 40% of my time is spent on coding, reviewing code, and helping build out the app with my CTO and our other software engineer. Our CTO is much more technical then I am – he went to UOC Berkeley and studied electrical engineering, computer science, and mathematics. He has a stronger traditional background – I completely agree with the theory of hiring people that are better than you. 30% of my time is spent in meetings with VCs, fundraising, and speaking to customers with our Chief Advisor who works in the VC space. He's helping us move in the correct direction because it’s a really competitive landscape and we want to make sure that our unique strategy works. And the remaining 30% is spent on the marketing and analytics side, working with my Marketing and User Acquisition guy and helping grow our user base. What skills from Springboard made you a better CEO and founder? I think the most important skill was learning how to learn. I definitely learned that at Bloc but it was reinforced again at Springboard. When I don't know how to do something, I go and research it heavily, read about the documentation, read what other people are doing, and keep on coding to learn even more. What's been your biggest challenge to learning data science or applying that to Podible? I think the biggest thing is reading too much and not getting started right away. I think that's the biggest piece of advice I can give to someone asking for a big take away from this process. People are so focused on heavily preparing for a goal, that they don't ever get started. Whether you're going to go build your company or you're going to go learn data science or how to code – stop researching and actually go and get started. Even if you fail, that's absolutely fine. I've had a million ideas and this is the first one that I pursued heavily to the point where I quit my full-time job. I have employees who have quit their jobs and are banking on this to work out; that pressure is the best learning experience. What advice do you have for aspiring entrepreneurs or entrepreneurs who are already working on their business? Do you suggest attending a coding bootcamp? If you are going to build an app or a product in the tech space, then you need to have some technical understanding. If I take my car to the shop, and I don't have an understanding of how the car actually works, then the mechanic can do whatever he wants. If he wanted, he could cause more harm than good, or give me an outrageous price for something relatively simple. Alternatively, you could hire someone who you trust a lot as your CTO. My CTO is a former direct report when I was a Solutions Engineer. We have a really good friendship and a good understanding so I trust him with my life. But without any kind of technical background, I wouldn't be able to help build out the app. I don't think someone can just come up with an idea, not have a technical background and then outsource the entire project. That won’t work out well. Having technical skills is the most invaluable advantage you could have in our current day and age – understanding how code and technology works. I’m not the CEO because I came up with an idea; it’s because I have a vision but can also provide value back to the team at Podible. Springboard recently launched their new Data Science Career Track, an online, mentor-driven course that promises graduates a job in the field or their tuition back! We chat with the Director of Data Science Education, Raj, to learn why he’s passionate about helping students make career changes, why their curriculum focuses on Python, and exactly how Springboard’s students are landing jobs when they graduate (hint: it’s not by blasting out resumes). 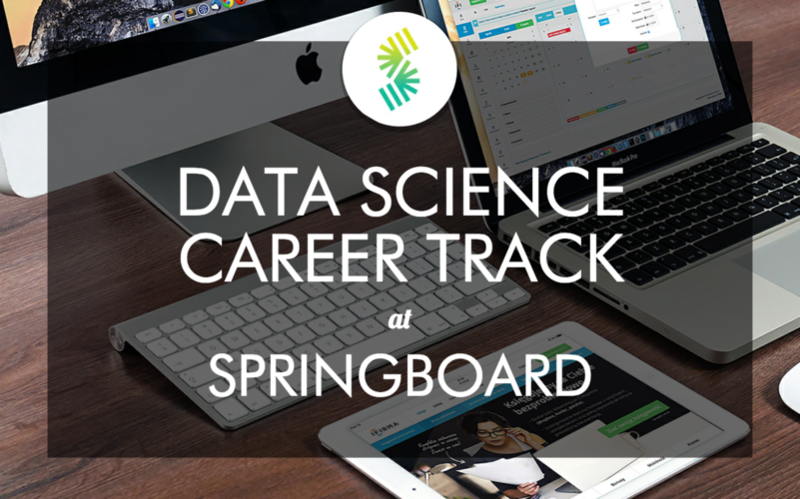 Tell us how you are involved with Springboard’s new Data Science Career Track. I’m the Director of Data Science Education at Springboard, which means that my job is to create and maintain our data science curriculum, including launching new courses like our Data Science Career Track. Why are you passionate about helping career changers become data scientists? I actually changed careers through online education. I have a Master's and Ph.D. in Computer Science from Rice University. However, after a couple of years of working in the industry as a developer, I wanted to transition to data science. I tried out a data science class on Coursera, and then spent two years teaching myself through online classes at Stanford with their Continuing Education department, and then changed careers to data science. Before Springboard, I was Chief Data Scientist at a very prestigious startup in Atlanta called Pindrop Security. I had been mentoring for Springboard’s Python course, and when this opportunity came up to take over the data science curriculum, I jumped on it. I’ve been through that career change using online education, so helping others and encouraging them to switch careers and upskill is something that I’m really passionate about. Working with Springboard is a way to have that kind of impact on a bigger scale. What’s the difference between past Springboard courses and the new Data Science Career Track? We teach three other Data Science courses: Foundations of Data Science (which is based in R), Data Science Advanced (which is based in Python), and Data Analytics for Business (which is based in Tableau and business case studies). The Data Science Career Track is our first foray into providing career services. We've hired a full-time career services lead to take over the career aspects of the course, and I’m maintaining the technical curriculum. What are the admissions requirements for the Data Science Career Track? Can someone start as a total beginner? Because we offer a job guarantee for the Career Track, we’ve found that having some technical background does help students get jobs. So our admissions process involves a programming challenge and a statistics challenge. For total beginners, we recommend one of our Foundation courses depending on their background. If they have no tech background whatsoever, then we typically recommend Data Analytics for Business. If they have a little bit of programming background or technical background, then we tend to recommend Foundations of Data science. Will the coding challenge be in a specific language? An applicant can choose their language, but the most common are Python, R, and Java. Can you tell us a bit more about the Job Guarantee? What are the conditions of the job guarantee and why is it important to you at Springboard? Roughly, our job guarantee means that students who complete all of our curriculum, including all the projects and follow the guidance of their career coach, and meet eligibility criteria are guaranteed a job within 6 months of completion. Eligibility criteria include willingness to live and work in one of 11 major US metropolitan areas, US work authorization, a Bachelor’s degree, and be age 18 or older. In addition, we require that to be eligible for the guarantee students are active in their job search and committed to their own professional success in that area. We have full confidence that if our students commit to the learning in the program, which includes both technical material and job search tasks, they will be successful in meeting their career goals. Which data science languages have you incorporated into the curriculum? We've decided to focus on Python. However, we don't really teach Python in this course; we assume that you know the basics of Python. We teach the Python data science stack, which starts with Pandas (a Python library to manipulate data, clean data, wrangle data), and then we teach Python libraries like NumPy, SciPy, scikit-learn for machine learning, Seaborn and Bokeh for visualization. In addition, we also cover Spark, which is one of the most in-demand tools for data engineering and scaling, along with PySpark (a Python interface to Spark) and MLlib, which is Spark’s machine learning toolkit. Both R and Python are pretty common in data science, but if you're working as a data scientist, particularly if you're working on building machine learning algorithm prototypes, knowing Python is a huge advantage. You’ll find that R tends to be less connected to production systems, so we made a conscious decision to go with Python. Did employer needs and feedback go into the curriculum design? Yes. Many of our Data Science Intensive students were interviewing with employers, and we got feedback from those interviews. We had a sense of the gaps between our Data Science Intensive course and what employers were looking for. The Data Science Intensive was getting students 70% of where they need to be in terms of technical skills to find a job. So what was the remaining 30%? Employers said they wanted more experience with real world data sets and portfolios, and they also suggested we work on interviewing skills and job searching. As a result, we weave career steps throughout our technical curriculum, so students are building their network, working on their LinkedIn profiles, and coming up with their pitch from Week One. Towards the end, when they're done with the technical curriculum, students can set up mock interviews. Some of our mentors have been interviewing candidates for many, many years, and they will give you feedback according to a preset rubric so that you get all the practice that you need for interviewing. If you wait to finish the technical curriculum and then start your job search process, that's just going to cause a lot of delays. What is the teaching style like at Springboard? What should students expect? Our teaching model is completely online and self-paced, so students go at their own speed. First, you’re assigned a mentor, typically someone who currently works as a data scientist in the industry and has worked for a few years. They have not only data science experience, they also have the sense of what industry careers in data science are like. Students work on the material in the curriculum at their own pace and the material is curated, which means that we collect the best content we can find on a specific topic. Then we assign mini-projects for each topic where students actually work on a realistic problem, and that's the way they learn each specific topic. Throughout the course, they work on two capstone projects. One can be a little bit more foundational, the other might be more advanced. The capstone project should be as realistic as possible as you should use some kind of real-world data set, and the question that students choose to answer should have some real world value. Students need to write a proposal where they state the question, why they care about it, the value of the answer, and who the client is. In the real world, when you're working as a data scientist in industry, you're never working on a problem in isolation. You are typically working to prevent or solve a problem for a business client. Knowing how to translate a business problem into a data problem and then communicating the results of your analysis back into a business context is a super important skill for data scientists. It’s highly underrated and something that employers always look for. The way we teach that skill at Springboard is by making sure that every capstone project they're working on has the client in mind. The analysis and deliverables should all be targeted for that client. How do you keep students engaged while they're learning online? That's a really good question, and this is something that many online education providers are trying to figure out. Assigning mentors is a big part of this for us, because it means that students are being held accountable. Students meet with their mentors once a week, online as we’ve built video calling into our platform. In their weekly calls, we encourage students and mentors to decide on goals for the following week. Student advisors will also follow up to check in on students’ progress. If you haven’t made some progress over the last couple of weeks, the student advisor will reach out – that kind of human touch often helps many students. When students accomplish specific milestones, they have prompts to set up calls with their advisors. For example, once they update their LinkedIn profile, they have a call with a career adviser who will review their LinkedIn profile and give them feedback. We’re also always thinking about how to better design our platform and curriculum to motivate students. For example, a lot of students are motivated by seeing their progress as they go through the curriculum, so we built those rewards into the platform. Student do well when they’re aware of their own learning style because they can work with their mentors and their student advisor to make sure we’re motivating them in the right way. What have you found is the easiest way to land a job as a data scientist? When you look for a job, especially in tech and data science, you often get the advice that you need to pump your resume full of keywords and then blast it out as widely as possible. That's really not the most effective way to find a job. Referrals are the way to find jobs in tech, and that means building out your network, and then using your network to find jobs, interviews, or referrals to companies that you've already done information gathering and research on. Students need to be very strategic in the beginning before they send out a single resume. And we’ve built that idea into our career curriculum. For example, students may be required to find a major data science meetup near them, attend, and make five contacts, take five people out for coffee, or schedule an informational phone interview to learn about their company. One of our students put his data science skills to the test and ran an experiment where he sent out hundreds of resumes to different job sites, and got an acknowledgement ~10% of the time. When he submitted applications through referrals, he got a phone interview 85-90% of the time. The next class starts May 29th; how are the current students doing? We’re teaching a couple of hundred students right now, and we have about 50 mentors in our network. Some of those students are getting close to graduation, and then will be focused on finding a job. We accept applications on a rolling basis: however, admissions are quite selective, with about only 18% of students enrolling after they’ve applied. Click here to see if you qualify! Great, we can’t wait to talk to a graduate! Read more Springboard reviews and be sure to check out the Springboard website! Kristoffer has been a graphic designer for six years, but after trying out a few UI projects, he realized he liked it better than his current work. Not wanting to quit his job, Kristoffer decided to enroll in Springboard’s part-time online UX Design program to upskill and pivot towards something he was more passionate about. Kristoffer tells us how he managed to squeeze the whole program into one month, how he balanced it with his other commitments, and his plans for the future. He also shares his screen to show us Springboard’s online learning platform! What was your background before you decided to study UX design at Springboard? I went to school to be a graphic designer, and I've done that in a professional capacity for about six years now. Through that, I've done UI projects at work, and that is really where I thought, "Oh, I want to pivot into that and stop doing graphic design." It led me to where I want to be, and pushed me into taking an online course to further flesh that out. Are you studying part-time or full-time, and are you able to work as well? What's your setup for learning? I'm finished with the course now, but when I did it, I did it part-time, but I really focused on it. Thankfully my job was flexible enough that I had extra PTO, so towards the end I was able to take a week off and just focus on the course. Other than that, I would do a little bit after work and then more at night after dinner. Instead of watching TV, I would work on the course and take care of what I could that night and then move on the next day. It was really flexible for me. How long did it take you in total to do the whole course? It took me a month, but that was like a marathon run for me. I had committed to only doing it for a month, so I had it in my head that I needed to really focus. I work better that way because it is a monthly thing and you can go at your own pace. I could've easily mentally just stretched it out longer or just say "No, I'll get to it tomorrow." Knowing that I only wanted to do it for a month helped force myself to just do it as quickly as I could and to get as much out of it as I could. If I stretched it out any longer, I feel like in my own learning I would have lost some of it because it would’ve just taken too long. By focusing on it for just one month, I was able to really take it all in and get what I needed out of it. What made you decide that you needed to do a bootcamp rather than learn on your own through another online-type of resource? I had a deep background in the visual design side of UI and UX, but I only had very tangential knowledge of the user persona creation, user testing, and wireframing. I hadn't really touched a ton of that. So when I was reading up on different courses, Springboard stuck out to me because I could learn all of the stuff that I either hadn't touched at all, or barely touched. Did you look at a few other bootcamps as well as Springboard? What made you settle on an online bootcamp in particular? We didn't have a ton of options out here in Las Vegas and I had to keep my job so I couldn't really go anywhere for three months to do an intensive course. So I knew I had to stay online. I did research quite a few, and they all sounded wonderful, but a lot of it was either not going to be fast enough, or it was more of "This is a three-month program." I needed something that I could basically do it as fast or slow as I wanted, and that's where Springboard came in handy. What was the application process like when you were applying? I think they open it up to everybody who is willing, but I think if you don't have much of a background in it, they will tell you that you’ll need to take your time on each course. For me, I remember I had to fill in an application saying why I wanted to do it, and if I did have any experience, what that was. I put my background in and I linked it to my LinkedIn account. Springboard basically looked at my resume and said, "Oh, okay. He's done this, this, and this. He's good to go." What actual technologies and subjects does the UX design program cover? It covered idea creation, minimum viable product, competitive analysis, user persona creation, wireframing, visual design, logo design, and color palettes. Did they cover any front end programming languages? Did you cover HTML and CSS? We didn't cover that. I have some knowledge of that just through my work experience, but Springboard didn't cover that in a classroom setting. I think the culmination of your projects would rely on high fidelity mockups, and then some interactive prototypes using invision or something like that, but no HTML was not really gone over. It was mentioned, so it wasn't like it was hidden, but we didn't go over it. What was the actual learning experience like at Springboard? Did you watch recorded lectures or did you have one-on-one time with a mentor? How does that work? It's a wonderful blending of both. You get a phone call with your mentor once a week and you can also email them. They're usually pretty open to email, and they're flexible on calls too. For the rest of the learning, it's a combination of PDFs and links that you read through and then go over. There’s also Lynda.com videos and Skillshare videos, which you don't have to pay for because they are part of the course. Once you get through those, you've got some projects to work through. Each chapter has a project and then at the end you have a culmination of those learnings in a capstone. How often were you meeting with your mentor? Since you wanted to do it in such a short time, was the mentor able to accommodate that? Yes, he was very accommodating. I told him at the outset that I was planning to do this in one month. I knew it sounded crazy, but I had looked through the course and when I talked to him I just reinforced that "I'm going to need to do this only for one month,” and he was really flexible. We talked once a week at the beginning and then we talked maybe two extra times at the end because he knew I needed to get things done before a certain date. Would you like to share your screen now and give me a little demo of what the learning portal looks like? So here is my back end when I log in and then right here is all of the chapters. You read through all the information and this is your intro when you first sign up. Then as you go through, each of these activities would not be grayed out, and you would just click through to complete them. Once you're done it says completed. Did you have a checklist where you could see which activity you've finished and which ones you still had left to do? Yeah. I wrote down on a notepad what I knew I had left so I could extract stuff out. But when you're in the midst of going through the course, it defaults you back to basically where you left off. So it knows what you have completed and then it brings you to what's up next so that you don't have to scroll through every time. Could you submit your projects or assignments through the portal? How did that work? Let me find one that has a project. So when I got to this portion of the course, it was not grayed and then instead of "Submitted," the button said "Submit project." When you click that a little box comes up for a link and you just paste the link in there to where you have your project hosted. I used Google Docs for 99% of what I did. What kind of programs did you use to actually build and create your projects? For the initial parts where I was submitting ideas and chart based stuff, I did Google Docs and Google Sheets. Then as we got into the more visual side of things, I used Extensio and Balsamiq. Balsamiq was for wireframing, and Extensio lets you build user personas that look really nice. I can show you an example of that if you want. Yeah, that would be cool if you can show me an example. So Extensio lets you build something that’s a nice visual, quick overview of a persona that you create. They also have templates in there that I used, for example they let you do empathy maps. This is my case study that I did for my final my capstone project. I used Illustrator to make my competitive analysis because I wanted it to be super simple. I don't like the way that normal spreadsheets tend to look even once you adjust for cell sizes. It was a fairly fast project. For my capstone I designed an app that allows users to catalog and keep track of items that they have in their home or apartment for insurance purposes. So in case of fire or water damage, or even robbery, you have a list of your items that you could submit to insurance for reimbursement checks. Was that an original idea you came up with yourself? Overall, when using the Springboard platform, how did you find it was different from using some of the free self-guided online resources that are out there? For me it was that old feeling of when you pay for it, you feel like you need to get the value out of it. So if I was just looking at YouTube videos, I could go down a YouTube hole and end up not learning what I wanted to learn. I could just be clicking and then watching the next step in playlist. This guided me down what I know I needed to learn. With YouTube or other online resources, I would feel like, "I don't like the way that they're teaching these so I'm just going to move on to something else," and eventually that did not work for me. So for Springboard it was a little bit of hand-holding. It gave me the steps I needed to take to fully do user experience research for a new project or a new feature and I liked that hand holding. I also took online classes when I was in college because some of them were only offered online, and this was so much better than that. How many hours per week did you find yourself spending on the Springboard curriculum? Early on I broke it into two separate sets of two weeks. The first two weeks was the main lead up, which was everything up to the wireframing. It was the MVP persona, the competitive analysis, all of that. For those two weeks I probably spent around 10 to 12 hours a week on the course. The third week I was off work, so I was able to put in basically 30 to 40 hours. Then the final week I was back at work but most of my stuff was done. I was just refining my capstone project with input from my mentor and users that had tested it. So that week I probably put in maybe 12 to 15 hours. How does Springboard help you or give you advice about how you can use this knowledge in your future career? Throughout the course, they'll mention various Lynda courses, and explain how this will apply in an office setting. They'll say, “you're learning user research where you're having them test it in a room with you and cart sorting and stuff, but it’s not necessarily how everything will go.” Some companies are so large that you will never touch that aspect of it. It's good for you to know it so that you can talk with those people and understand the data that they're giving you and how it influences what you do. Towards the end, they start explaining, "Here's how you set up a UX resume and here are the programs you need to know.” If you're going to focus more on UI and visual design, you'll want to know Photoshop and Sketch and Illustrator. If you know Sketch, you probably don't need Illustrator. Springboard does say, "Know the Adobe Suite, know Sketch and you'll be set in terms of visual." For the others, it's a lot of Word Docs or Google Docs; anything that you can have a full office suite of spreadsheets, PowerPoints and Word processing. Did they offer any job placement help if you're wanting to find a job using your new skills? I think they help you with links in terms of good search engines to use for this particular field. Your mentor can be pretty helpful in that regard too. Even if it isn't necessarily finding you a job, he can help look over your resume, look over your portfolio, make sure that you're hitting the things that need to be talked about. What was your goal when you decided to go through this program? Were you planning to get a new job or did you want to upskill for your current job? I wanted to pivot and move into a startup role. So I'm currently looking and interviewing, and this is already helping. It reinforces the fact that I do have experience in some of this stuff. Having the course behind that, people see, "Oh, okay he's serious about it." So what are the types of roles that you're looking for that you would ideally like to get? I would love to get a UI design role or a visual design role. I still love that aspect of it. I love playing in Photoshop, playing sketch, and doing interactive mockups. I enjoy all of those parts of it building buttons and figuring out how it should look for the end user. That's really where I've concentrated my search. I've had a few interviews for UX based stuff – less on the design side, more on the how it's going to flow side. It's been incredibly informing, but I can see I'd much rather go into UI visual. What advice do you have for someone who is considering doing an online bootcamp like the one you did? Any tips you might have for staying motivated and engaged? I think the first tip I have is if you feel like one of the course videos is going to a little too slow, usually somewhere in the settings on the video player there's a way to speed it up and that helps a lot. Because some of them had very intensive talking. It was deliberate talking. So I believed, "Okay, I can speed that up to one and a half times the speed and get done with this quicker,” and it would still be fast enough that I could get through it; but not too fast where I didn't get anything from it. On top of that, I think you should know how long you want to be in the program, even if it's not a month, just know how long you want to be in it and make sure you work towards that. Don't let it become something that you let just fall off. Focus on it and do it, because even if you don't end up using it in your career, you will at some point. Even if you don't go into UX design immediately, you will use what you learn I think at some point. Find out more and read Springboard reviews on Course Report. 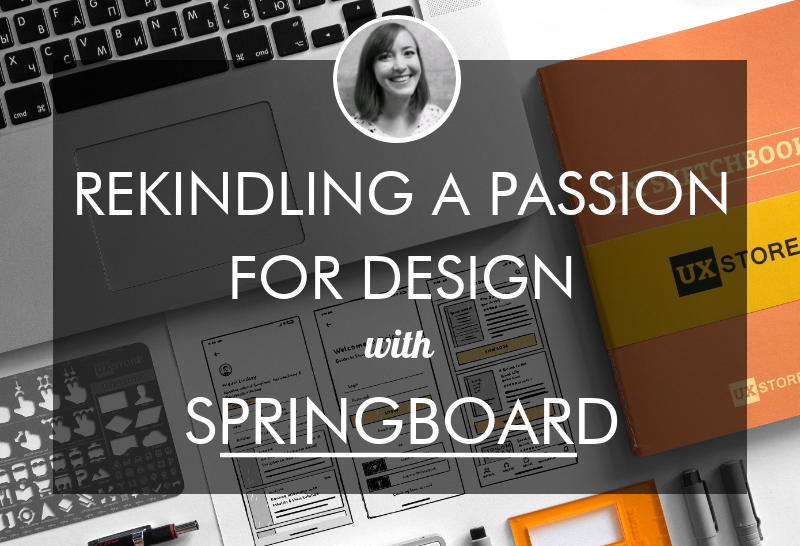 Check out the Springboard mentored UX design workshop. Welcome to the March News Roundup, your monthly news digest full of the most interesting articles and announcements in the bootcamp space. Want your bootcamp's news to be included in the next News Roundup? Submit announcements of new courses, scholarships, or open jobs at your school! Data Science Bootcamp: Which is Best for You? You don’t have to be a data scientist to read into these statistics: A McKinsey Global Institute report estimates that by 2018 the US could be facing a shortage of more than 140,000 data scientists. The field of data science is growing, and with it so does the demand for qualified data scientists. Sounds like a good time to pursue data science, right? No kidding! Data scientists make an average national salary of $118,000. If you’re looking to break into data science, or just trying to refresh and hone the skills you already have, Course Report has you covered. Check out this comprehensive list of the best data science bootcamps and programs in the U.S. and Europe for technologies like Hadoop, R, and Python. Any other information you'd like to share with Rod from Springboard? By submitting, I acknowledge that my information will be shared with Springboard. An email with these details has been sent to Springboard. You've already applied to this scholarship with Springboard.